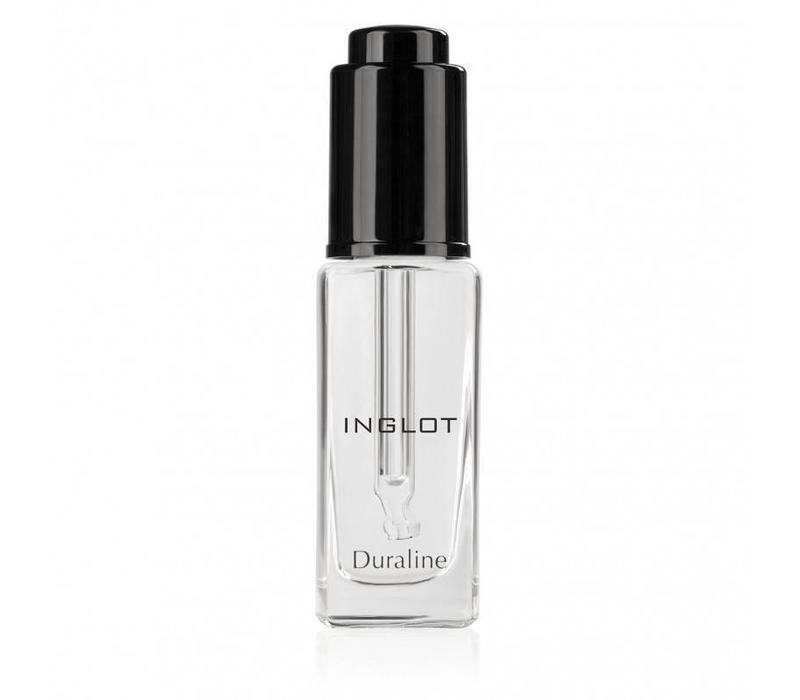 Inglot Duraline is a multi functional fluid that makes all sorts of powders into a fluid product easily. 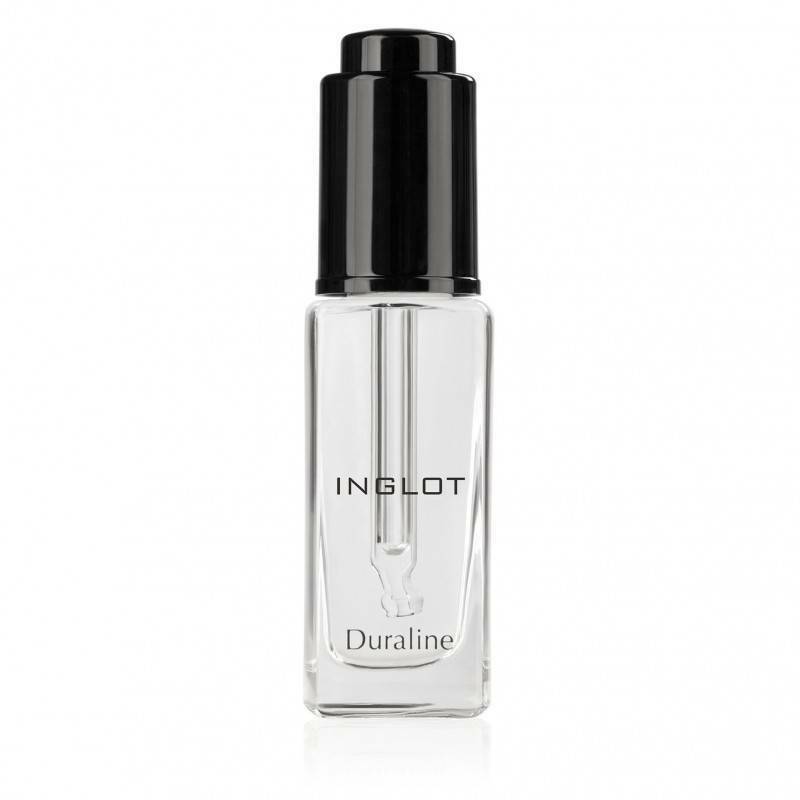 Inglot Duraline is a multi functional fluid that makes all sorts of powders into a fluid product easily. This transparant liquid gives you the possibility to transform every eyeshadow, pigment or glitter dust into a gorgeous, waterproof eyeliner, gloss or eyeshadow. With just one drop you will intensify every eyeshadow and give it more coverage. You can also use duraline to soften gel eyeliner or brow gel that has dried out. Makes every powder into a liquid. Makes your eyeshadow waterproof, intenser and gives more coverage. Mixture can also be used as an eyeliner or lipgloss. Can be used to soften dried out gel eyeliner or brow gel. Pressed eyeshadow : Take a drop of duraline onto your brush and apply to your eyelid or carefully dip into your eyeshadow. Apply eyeshadow to your lid and let dry. Loose pigmenten and glitter dust : Mix a drop of duraline with pigment and apply with a brush you your eyes or lips. Dried out gel eyeliner or browgel : Mix a drop of duraline with the dried up gel. Gel will become soft again and is ready to be used.